Hammerfest you were awesome, Left For Red thanks you! Well we’re only three months into the year and here at planet LFR it feels like our feet have hardly touched the ground. A few months away from the gigging circuit to focus on writing, that was the plan…but that was always going to be a hard task. After just a couple of weeks in the studio we opened our account for the year with a show in our home city of Wolverhampton. Joined by our good friends Eyes Of The Raven, Master Charger and Pelugion, we had a blast, definitely a great way to start the year off. Next we had the honour of being invited to play Hard Rock Hell Metal at the O2 Academy Birmingham. Being the first time the city had held the event, it was hard to know what to expect, but god what an awesome weekend. We hit the stage at 7pm, walking out to a packed room with chants of Left For Red ringing out! 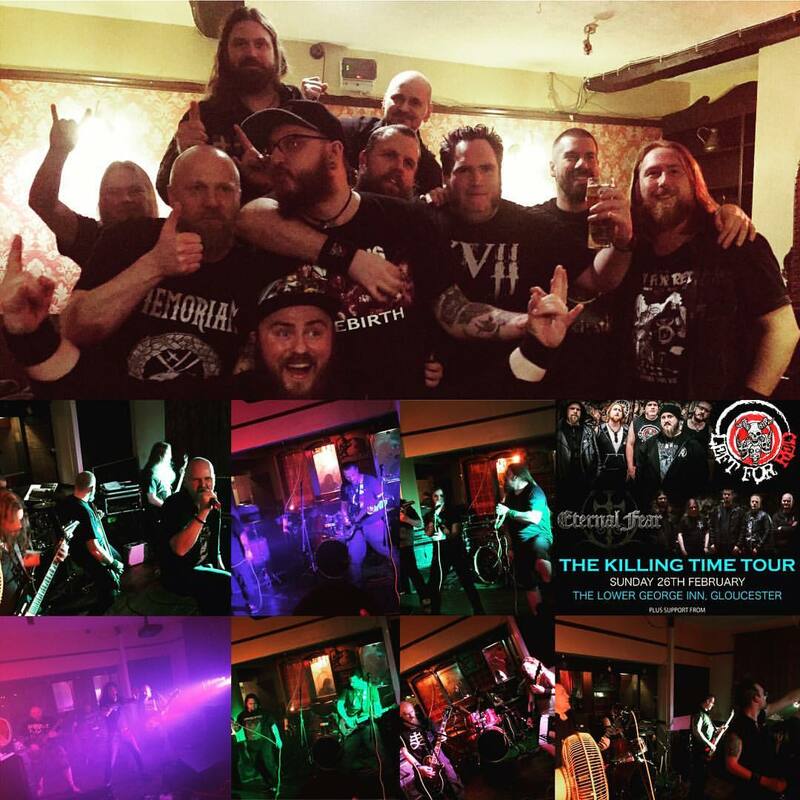 A reminder why we love the Midlands metal scene. 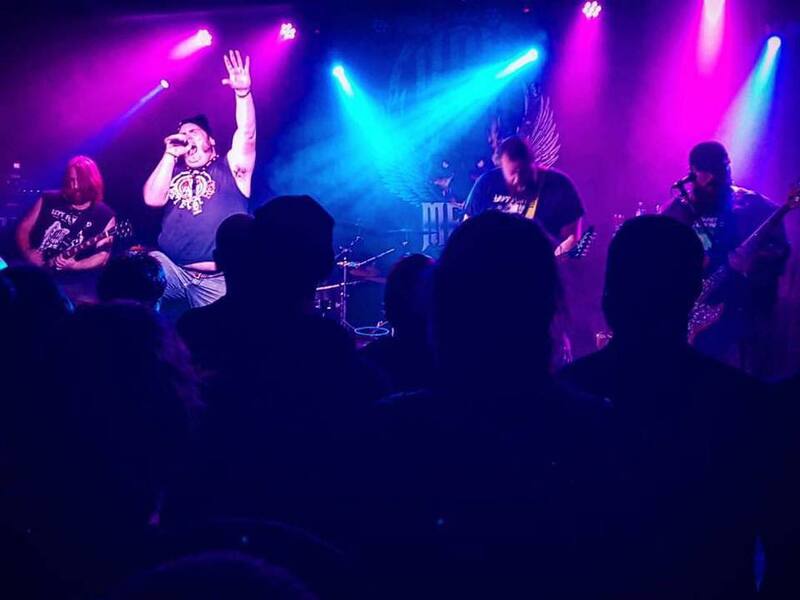 Big thanks to all that came out to show your support, not just to us, but to all the bands of the weekend. This is an event we truly hope returns next year. After signing a new management deal with FATangel management we hit the road again with our friends from Sweden Eternal Fear . Due to family commitments, our bass superstar Dan had to miss a couple of the shows. Luckily we had a super sub – our good long time friend, Weak 13‘s very own bass monkey, Wes Smith. He did a great job filling Dan’s shoes and we look forward to sharing the stage with him again later this year (much love dude!). All the gigs were awesome and we had a great time travelling up and down the country, even if it was a tight squeeze in the car. Turning up at the wrong venue in London, and finding out that the only McDonalds on the M40 was closed, were the only low points of the tour. Other than that, much beer was drunk, many new fans and friends were made and some great Metal was heard by all! 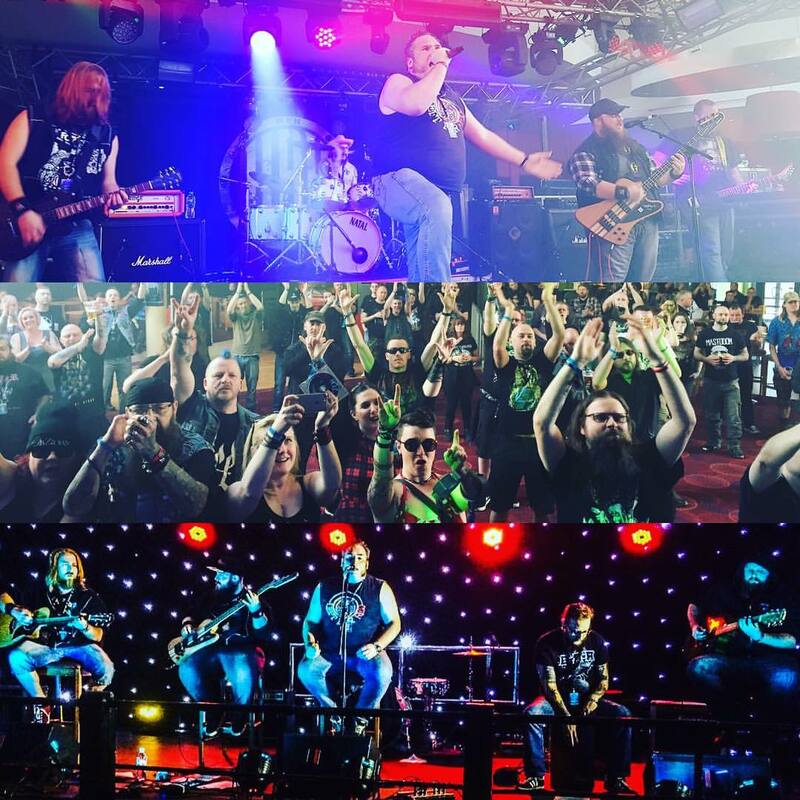 A month after Hard Rock Hell Metal, we were on festival duties again. This time heading over the mountains of Snowdonia to play Hammerfest! This was a festival we’d all been looking forward to and it didn’t disappoint. The sun was out and the beers were flowing, which helped, but nothing compared to the crowds and the atmosphere. This truly was a festival at its best! We had the honour of being asked to play twice in one day, an acoustic set in the VIP bar and a plugged in set on stage 2. Both sets went down a storm. We were thrilled to take part in such an event and hunger for a return. Big thanks to all that came out to support us and buy our merch, it means a lot and gives us the drive to continue. It’s people like you that keep this scene alive! 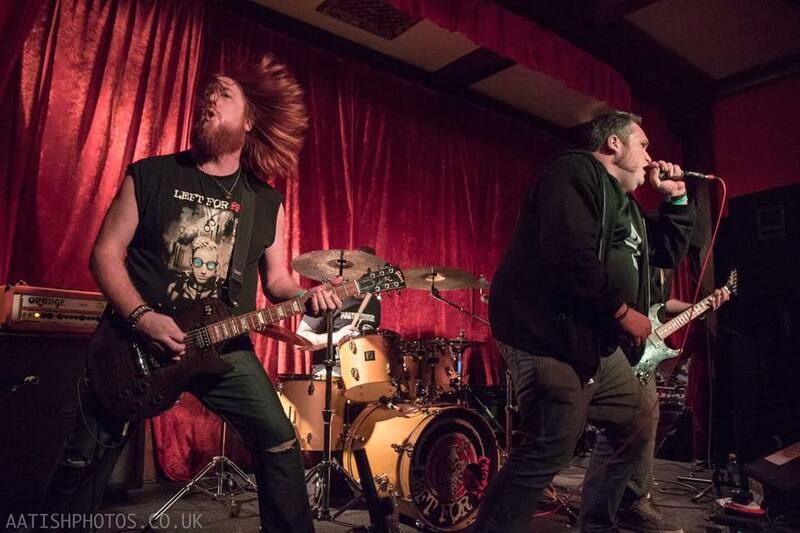 Work on left For Red’s yet untitled second album is now underway, with pre-production on the first half of the album in full swing, and studio time booked for over the summer. A release date is yet TBC but initial thoughts are for Autumn 2018. Sign up to LFR mailing list to receive regular updates on the album and up coming shows.